We are looking for a synthetic organic chemist to work on our graphene nanoribbons (GNRs) project. A successful applicant must have a published record of complex synthesis experience. Please e-mail your CV and cover letter with references in PDF format to Prof. Alexander Sinitskii at sinitskii(at)unl.edu. T. H. Vo, U. G. E. Perera, M. Shekhirev, M. M. Pour, D. A. Kunkel, H. Lu, A. Gruverman, E. Sutter, M. Cotlet, D. Nykypanchuk, P. Zahl, A. Enders, A. Sinitskii, and P. Sutter. Nitrogen-Doping Induced Self-Assembly of Graphene Nanoribbon-Based Two-Dimensional and Three-Dimensional Metamaterials. Nano Letters 15 (9) (2015) 5770–5777. T. H. Vo, M. Shekhirev, D. A. Kunkel, M. D. Morton, E. Berglund, L. Kong, P. M. Wilson, P. A. Dowben, A. Enders and A. Sinitskii. 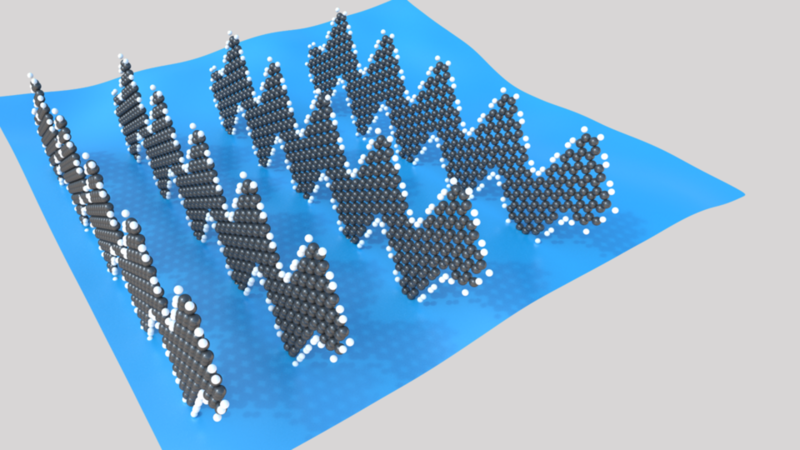 Large-scale solution synthesis of narrow graphene nanoribbons. Nature Communications 5 (2014) 3189. T. H. Vo, M. Shekhirev, D. A. Kunkel, F. Orange, M. J.-F. Guinel, A. Enders and A. Sinitskii. Bottom-up solution synthesis of narrow nitrogen-doped graphene nanoribbons. Chemical Communications 50 (2014) 4172-4174. 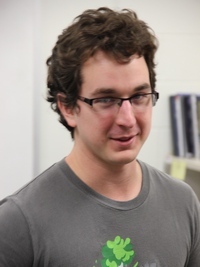 Alex Boson defended a Master’s thesis “Chemical Vapor Deposition of Two-Dimensional Materials and Heterostructures“. 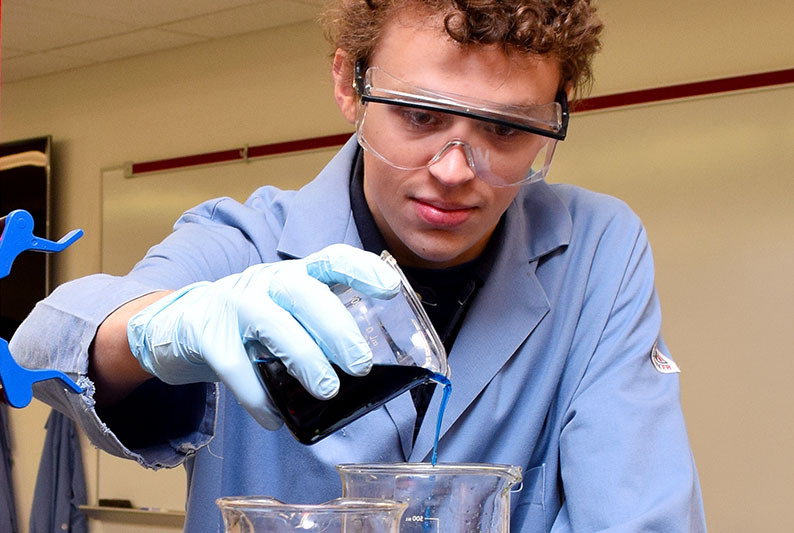 In his research, Alex investigated chemical vapor deposition of graphene and transition metal dichalcogenides on various substrates. 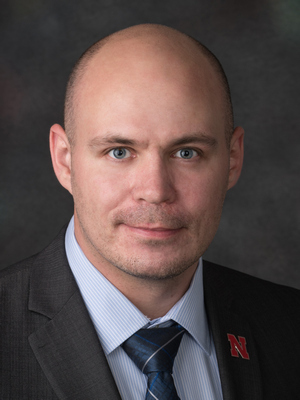 Research achievements have brought Mike Shekhirev awards from the Nebraska Center for Materials and Nanoscience (NCMN) and the Department of Chemistry. Mike has recently become a 2016 NCMN Graduate Research Fellow. These annual fellowships honor a select group of 2-3 doctoral graduate students working in various areas of nanoscience and nanotechnology on the basis of high research and scholastic performance. Read the full story here. Mike also received a 2016-17 Robert S. Marianelli Graduate Research Assistant Award from the Department of Chemistry. The list of recent awardees can be found here. Congratulations on these well-deserved recognitions! A. Lipatov, M. Alhabeb, M. R. Lukatskaya, A. Boson, Y. Gogotsi, and A. Sinitskii. Effect of Synthesis on Quality, Electronic Properties and Environmental Stability of Individual Monolayer Ti3C2 MXene Flakes. 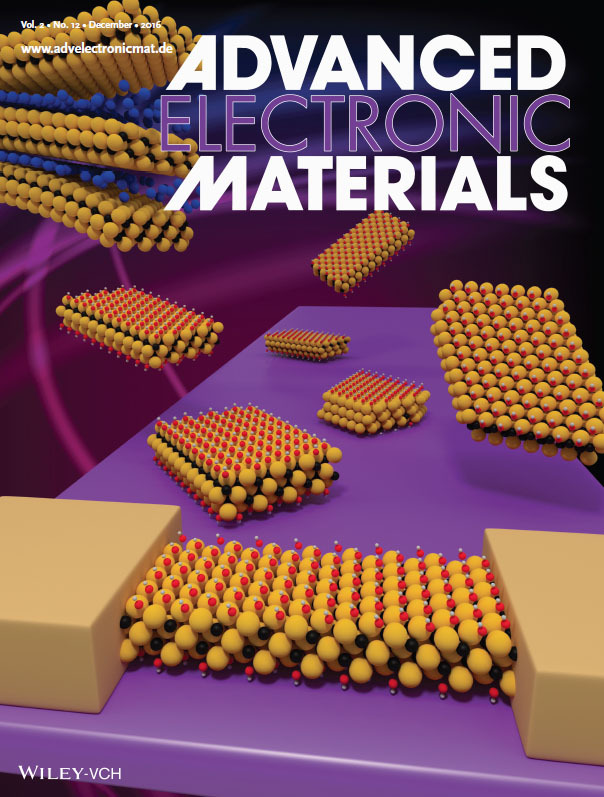 Advanced Electronic Materials 2 (2016) 1600255.
was featured on the journal cover. Alexey made a very nice cover image. Alexey Lipatov successfully defended his Ph.D. thesis “Layered Heterostructures Based on Two-Dimensional Materials: Interfacial Phenomena and Device Applications“. 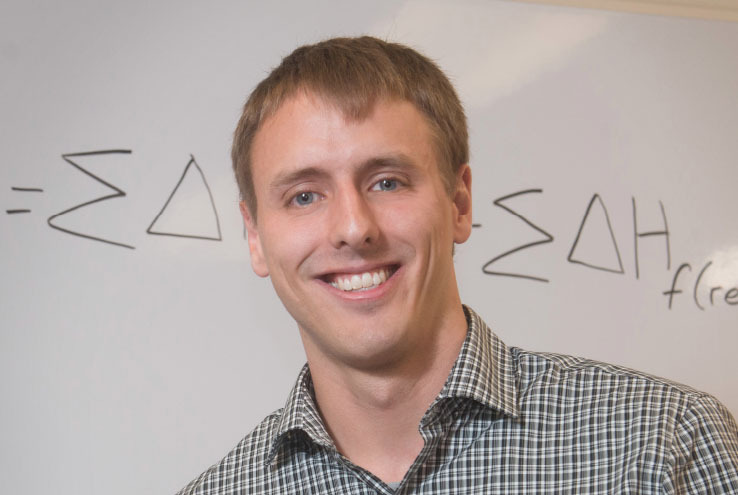 During his Ph.D. studies Alexey co-authored 12 papers, in seven of which he is the first author. 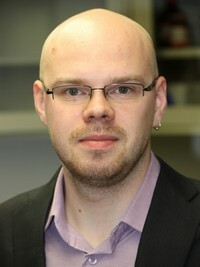 The most important scientific contributions made by Alexey include the development of electronic-nose sensors based on graphene and graphene oxide, a series of studies on electronic devices comprising two-dimensional (2D) and ferroelectric materials, as well as the demonstration of electronic properties of an emerging 2D material, titanium trisulfide. 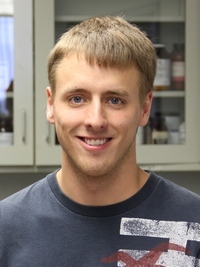 Jacob Teeter is one of four Fall 2015 recipients of the Citation for Excellence in Teaching Chemistry Award! He received this award for his patience and dedication to students’ overall learning and his endless efforts to keep them engage in General Chemistry 1 (Chem. 109) and General Chemistry 2 (Chem. 110) labs. Peter Wilson successfully defended his Ph.D. thesis “Chemical Vapor Deposition of Graphene Nanostructures“. During his Ph.D. studies Peter co-authored 7 papers, in four of which he is the first author. Doctoral hooding ceremony will be on Friday, December 18, 2015 at 3 pm in Pinnacle Bank Arena. Congratulations, Dr. Wilson!